The Chargers are available to recharge the batteries. The NiCd and NiMh batteries share most of the chargers with full compatibilty. 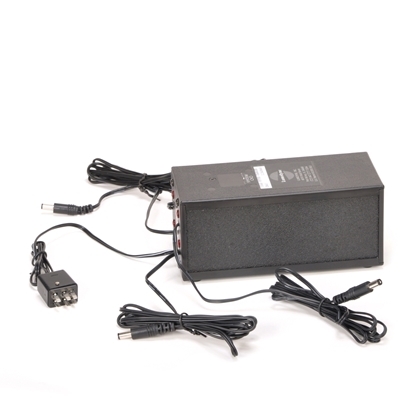 But, the Lithium LiFePo4 batteries must use the special Lithium Charger so these have a special charge plug to prevent you from making a mistake. All of our current chargers are international voltage compatible, it was not always that way so be aware if using outside them of America. The Chargers that we offer today are made for the modern batteries built since 2002 with serial numbers higher than 149300. The batteries made before that time may not stop charging correctly with a modern style charger. Contact Lumedyne directly if you have Classic Batteries with lower serial numbers than that. The Dual Hyper Chargers are Hyper fast, international, charge two batteries at once (at full speed) and have a seven light battery gauge to see the power level of your batteries. 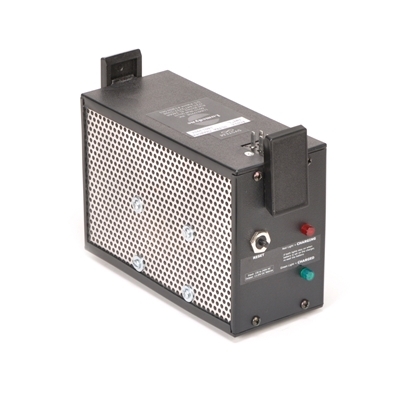 They also have damage protection, bad battery indications and use UL/CE power supplies internally. They use interchangeable standard power supply cables and you pick which country's cable you want to start with: USA, UK, EU, AU. Fast and powerful, these Chargers show you the condition of your batteries so you can better evaluate when there is a problem other than having trouble with your battery during a shoot. Hyper Chargers are intended only for modern Batteries build or modified since 2002 with the new PEPI. These Batteries have a serial number higher than 149300 or you paid to modify it. The Quad Hyper Chargers are Hyper fast, international, charge one to four batteries at once (at full speed) and have a seven light battery gauge to see the power level of your batteries. 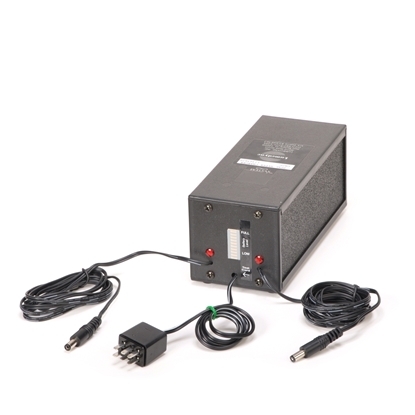 They also have damage protection, bad battery indications and use UL/CE power supplies internally. They use interchangeable standard power supply cables and you pick which country's cable you want to start with: USA, UK, EU, AU. Fast and powerful, these Chargers show you the condition of your batteries so you can better evaluate when there is a problem other than having trouble with your battery during a shoot. Hyper Chargers are intended only for modern Batteries build or modified since 2002 with the new PEPI. The Battery should have a serial number higher than 149300. 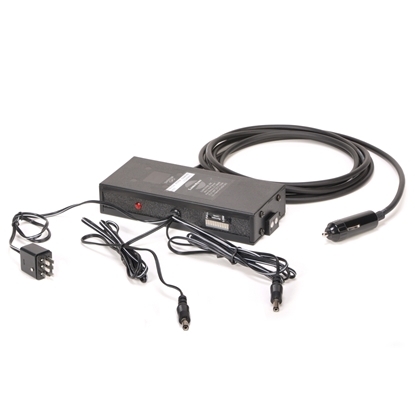 The CU4A mounts on top of the CU1Z Charger to expand its single Battery capacity into four Batteries at once. 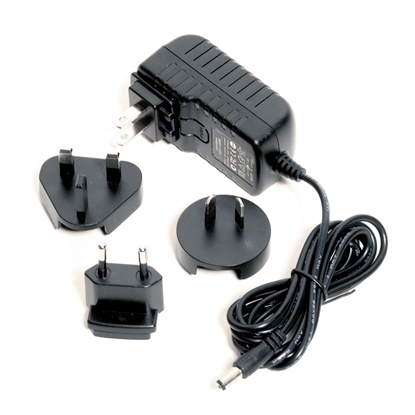 This Adapter is not a charger by itself but does work with the Auto Charger to allow up to four Batteries to be automatically maintained and topped off without having to swap Batteries around. The CU4A does have two helpful indicators that show that the Batteries connected did reach a full charge level and another that warns you if a bad Battery is plugged into one of the connectors. 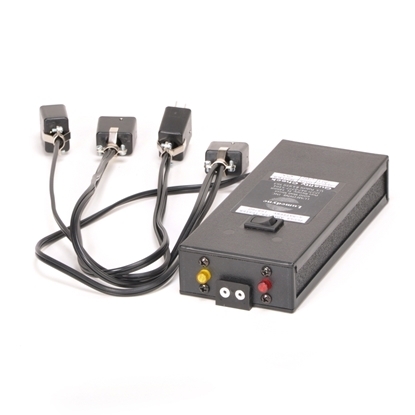 The name says it all because this gizmo does it all... Plug it into a cigarette lighter 12V DC jack in your car, truck, RV or drone and it can recharge Batteries or run Lumedyne Power Packs. Plus, if that were not already enough, it has a separate Battery Gauge and 6 pin connector that works independent of power to test Batteries. It's small, lightweight, versatile, and capable. Plus, with a 20 foot cable it is able to reach beyond your front seats when you want it to.